Description: Meyer's 1845 map of Florida is derived from the Tanner/Mitchell Universal atlas map of 1839. 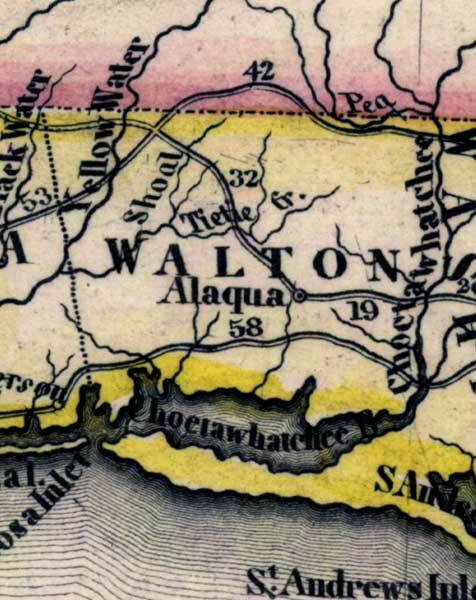 This detail of that map covers Walton County. Routes of travel are covered along with major waterways. This small county is traversed by Yellow Water and the Choctawhatchee River. The Choctawhatchee Bay borders the south. The main city in the area is Alaqua.